I have another Yankee candle tart review for today. now the weather seems to of turned and the evenings are getting darker, its time to get all the candles out and fairy lights on, and this Cranberry Pear scent for me is perfect for this time of the year, it has a distinctly Autumnal feel about it. Crisp pear and sweet cranberry are the perfect combination and remind me of stewed fruit puddings and crumbles, which for me are ideal as I love sweet fruity scents. 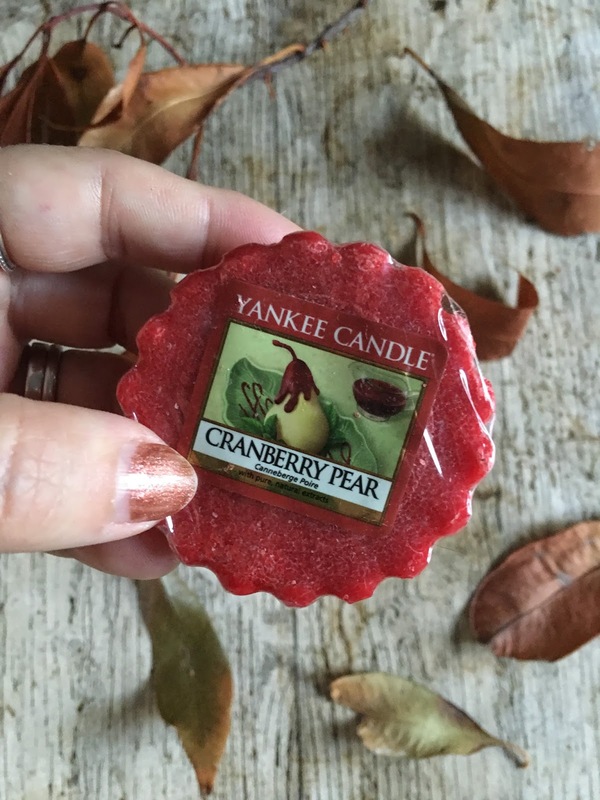 As you would expect from Yankee candle the scent of Cranberry Pear soon fills the entire house with its gorgeous fruity scent and lasts for hours and smells great time after time every time its burnt. I would always recommend the tarts as they are a great way to enjoy the Yankee scent on a budget or to test a new fragrance before committing to one of the more expensive larger candles. So if you love fruity scents I think you will like Cranberry Pear so defo give it a sniff next time your in store. If you enjoyed this post you might like my Rhubarb crumble Yankee review, and you can follow on bloglovin to keep upto date with all my latest posts. Sounds amazing!!! Thanks for the review!